"400 Restaurant NYC Cargenie Blues"
There was Jazz Music before Duke Ellington, but until the Duke came along, Jazz was not art. Duke Ellington followed a slightly different path to stardom than most other Jazzmen. A native of Washington D.C., his parents were both pianists, his mother playing parlor music while his father, who drew blue-prints for the Department of the Navy, specialized in operatic airs. As a youth he was far more interested in baseball (President Teddy Roosevelt would sometimes interrupt his horse rides to watch Ellington's team play) than the piano. When he began sneaking into pool halls as a teenager he heard the playing of pool-room pianists, which fired his passion for the instrument. From that time on he began to take his lessons seriously, and to draw upon a number of influences. Ellington's mother made it a point to keep refined women in his life, and he developed a sense grace and style, along with a dapper dress styling. His friends teased him about having a royal manner, and tagged him as "The Duke". While still in his teens he began appearing with different bands in clubs in the Washington area, and in the early 1920's made the move to New York to break into the Harlem music scene. He survived by hustling pool during the day and playing what gigs he could find in the evening, often at rent parties. After a few months he returned to Washington, discouraged. But the call of the music couldn't be ignored. A gig in Atlantic City in 1923 led to a four year engagement at the Hollywood Club at 49th and Broadway. This is where Duke Ellington grew as a musician and artist. After the Hollywood Club burned down and reopened as the Kentucky Club, Ellington took over as leader of the house orchestra. "Duke Ellington and his Kentucky Club Orchestra" soon grew into a ten piece outfit with a distinctive sound that combined the Harlem street rhythms and Ellington's expressive arrangements with exotic trombone wah-wahs and growls, squealing high trumpets, and sultry blues licks. 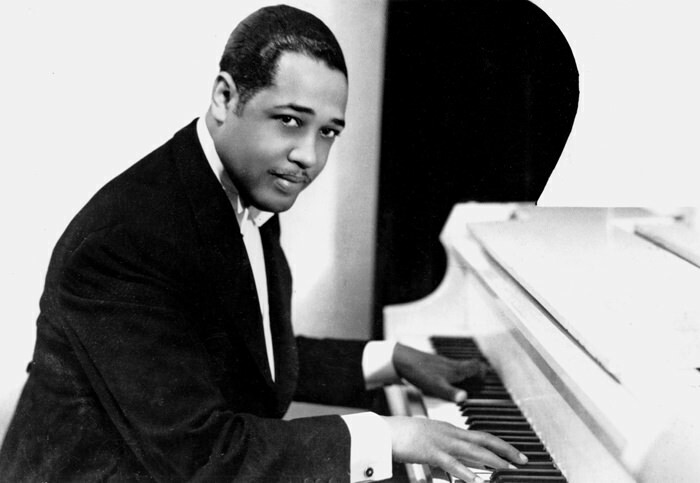 The Duke Ellington Orchestra survived the great depression, when many bands were being let go by the recording studios, but only through hard work touring and exposure on radio. Engagements at New York's Cotton Club exposed him to a European audience, but at home he was in competition with the likes of Benny Goodman, Tommy Dorsey, and Count Basie. Although the Duke could swing with the best, he felt constrained by the 3 minute limitation of the 78 rpm record side. Finally, by the end of WWII, the music industry began to favor the easy to promote image of the solo vocalists like Sinatra, Bing Crosby, and Dinah Shore. Jazz itself began to move away from big bands. These shows were mostly recorded at the 400 Restaurant on fifth Avenue and 43rd Street in New York City. They were adapted for use by the AFRS. 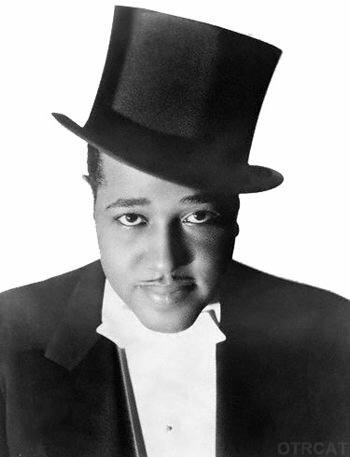 The show was a "weekly concert", that features the Duke Ellington Orchestra at their high point. For more jazz broadcasts, see also: Charlie and His Orchestra (Nazi Propganda), Date with the Duke, Eddie Condon Jazz Concert, Esquire Jazz Concert, Jubilee, Music Depreciation, Navy Swings, Live from Birdland, and New Orleans Jazz Band. Be the first to comment on "Date with the Duke"